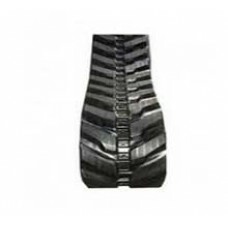 CAT 206B FT Excavator Track Pad Features:Maximum Durability and Maximum VersatilityTrack Pad Enginee..
CAT 211 Excavator Track Pad Description:Long Wear-Life - From our high performance polyurethane and ..
CAT 211 LC Excavator Track Pad is specially made of heavy-duty premium materials to increase underca..
CAT 212 Excavator Track Pad Descriptions:Continuous rubber track pad;Conventional type or interchang..
CAT 213 Excavator Track Pad Descriptions:Rubber track Pad: (1) Bolt on type(2) Bolt on type wi..
CAT 213 LC Excavator Track Pad Features:Engineered specifically for Excavator Machines. 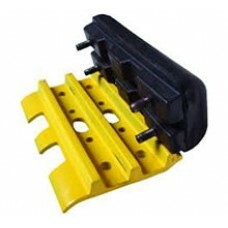 Lowest Life-..
CAT 213B LC Excavator Track Pad Features:Track Pad Engineered Specifically for Excavators and Bulldo..
CAT 214 Excavator Track Pad Features:Maximum Durability and Maximum VersatilityTrack Pad Engineered ..
CAT 214B Excavator Track Pad Description:Long Wear-Life - From our high performance polyurethane and..
CAT 214B FT Excavator Track Pad is specially made of heavy-duty premium materials to increase underc..
CAT 215 Excavator Track Pad Descriptions:Continuous rubber track pad;Conventional type or interchang..
CAT 215 LC Excavator Track Pad Descriptions:Rubber track Pad: (1) Bolt on type(2) Bolt on type..
CAT 215B Excavator Track Pad Features:Engineered specifically for Excavator Machines. 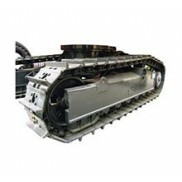 Lowest Life-Cy..
CAT 215B LC Excavator Track Pad Features:Track Pad Engineered Specifically for Excavators and Bulldo..
Zeppelin 45 Rubber Track | 45 - 230x96x33..